All prices exclude a day insurance of € 1.50 per person. Peak hours: Saturday and Sunday the whole day. Off-peak hours: Tuesday, Wednesday, Thursday and Friday the whole day. 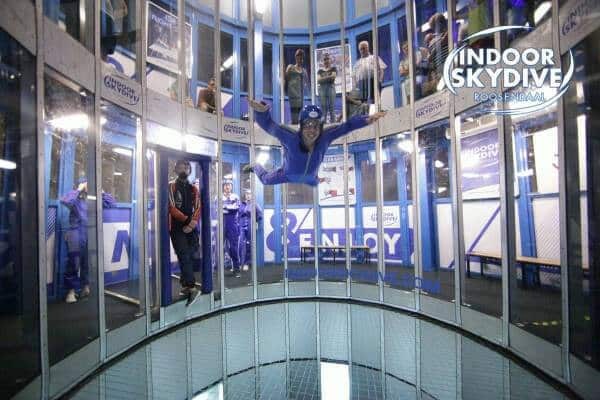 Indoor Skydiving Roosendaal is a 14 foot - 4.3 meter tunnel located in Roosendaal, Netherlands. The tunnel features a unique look with its narrow paneled construction and a two level viewing deck. Excellent service and skilled staff for both recreational and experienced flyers.